For the millionth time I regretted bringing a rolling suitcase to Europe. Even after scores of visits I never seem to learn that European cities and wheels just don’t get along. Luckily, my hotel wasn’t too far from Munich’s main train station, preventing the untimely death of yet another piece of luggage. I did the math in my head again, just to make sure I was correct and once again I was shocked by the number. It had been 15 years since my last visit to Munich; part of a longer jaunt around central Europe. There was no good reason why I hadn’t been back, which is what created my confusion. I’m in Germany fairly often, it’s one of my favorite countries and I seem to find my way back there a couple of times a year. I had even been back to Bavaria and nearby cities and towns, and yet I had somehow ignored Munich. That motivated me even more, to be back to revisit sights long forgotten as well as to see what was new in the city. I wasn’t disappointed either, almost immediately I remembered why I loved my first visit to Munich so very much, as well as discovering new reasons to love the capital of Bavaria. Relaxing in an enormous park wasn’t the first thing that came to mind when I thought about Munich, but that was one of my first stops after arriving into the city. Partly due to the unusually warm summer temperatures, I also was keen to visit a spot made famous on Instagram, the surfing river. Located in Munich’s enormous English Gardens, the Eisbachwelle is a year-round surfing spot that sees plenty of people hanging ten no matter what time of year it is. Created by water shooting under a bridge spawning a perpetual wave, that same bridge is the ideal viewing spot for this strange city obsession. Surfing here is actually extremely challenging and while I’ll never have the skills to even attempt it, it was definitely a lot of fun to watch. The English Gardens though is well worth a visit aside from surfing, as I learned that hot summer afternoon. Originally planned in the 18th century, today the park is one of the world’s largest urban public parks and very much serves as the lungs of Munich. It’s also just a nice place to relax and decompress, whether after a long day of sightseeing or just because. Another pastoral retreat that’s easy to visit is the impressive Nymphenburg Palace. Once the main summer residence for the former rulers of Bavaria, today it’s one of the best places to visit not only to learn more about the region’s royal past, but to enjoy some peace and quiet in the lush gardens. 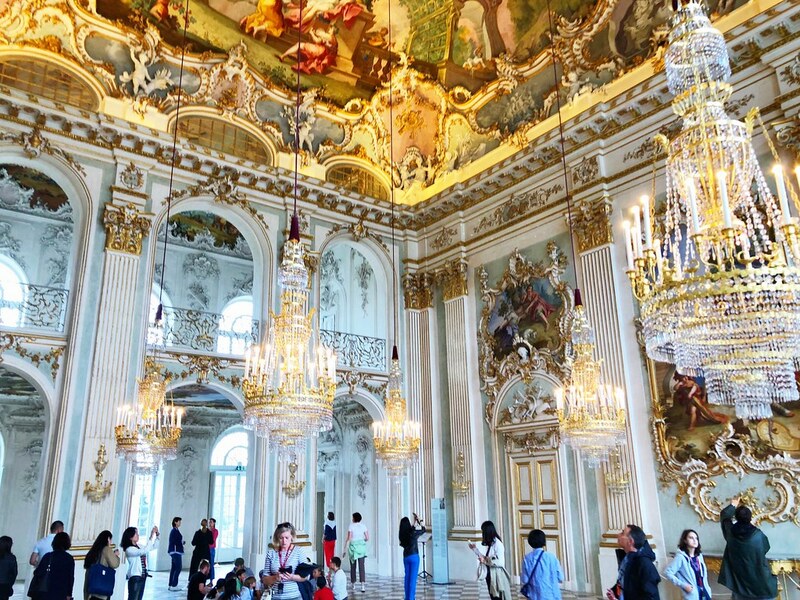 The Baroque palace is one of the most impressive I’ve visited, and they’ve done a great job of sharing the history of the building, the family and the city – all of which are inextricably intertwined. Even better was spending some time outside, walking through the finely manicured gardens for a slightly different view of the palace. Munich has been a very important city for a very long time, which means you could spend a week or more exploring and still not see everything. I didn’t have a week, so I had to prioritize and that started with a walk through Munich’s impressive Marienplatz and the Old Town Hall. An official building on the site has been there for more than 700 years, although it’s been redesigned several times over the years. Its most notable refurbishment happened after WWII of course when large portions were damaged. It was restored though to its 15th century design, allowing those of us visiting in the 21st century the opportunity to see what it looked like originally. From there exploring the rest of Munich is easy to manage on foot, whether with a firm idea of where you want to go or deciding to just wing it. I did a little of both, including stops at the Viktualienmarkt, various town squares, the top of city hall for views and of course spending time in another impressive royal palace, the Residenz. This massive facility needs time, lots of it, so don’t leave it until the end of the day like I did. Since I was so tight on time, I essentially raced through the enormous palace, but what I experienced was truly amazing. The largest city palace in Germany, the complex includes ten courtyards and displays 130 rooms. Thankfully the docents are very helpful, everything is well signed and the map included with the tickets is surprisingly useful. That’s the only way I managed to make the most out of my visit, which could honestly take a full day if you wanted it to. 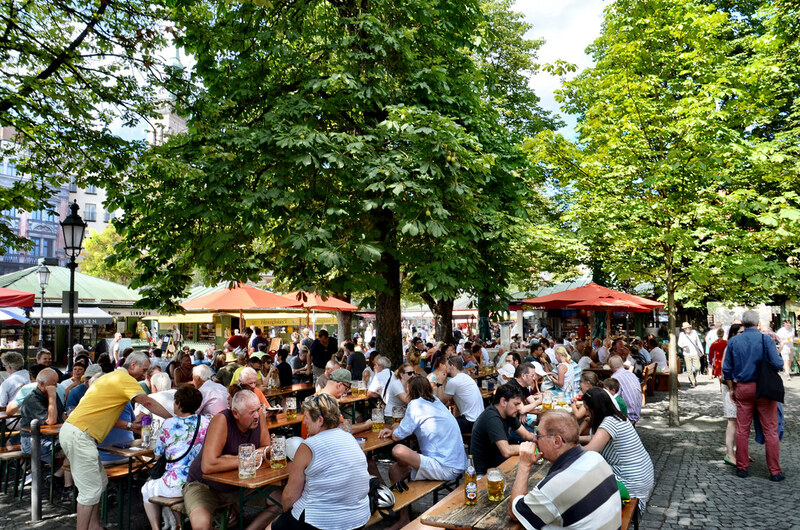 I can’t write about Munich without mentioning the food scene. Not only is it my favorite German foodie city, but I also learned a lot about the culinary side of Munich during my most recent visit. 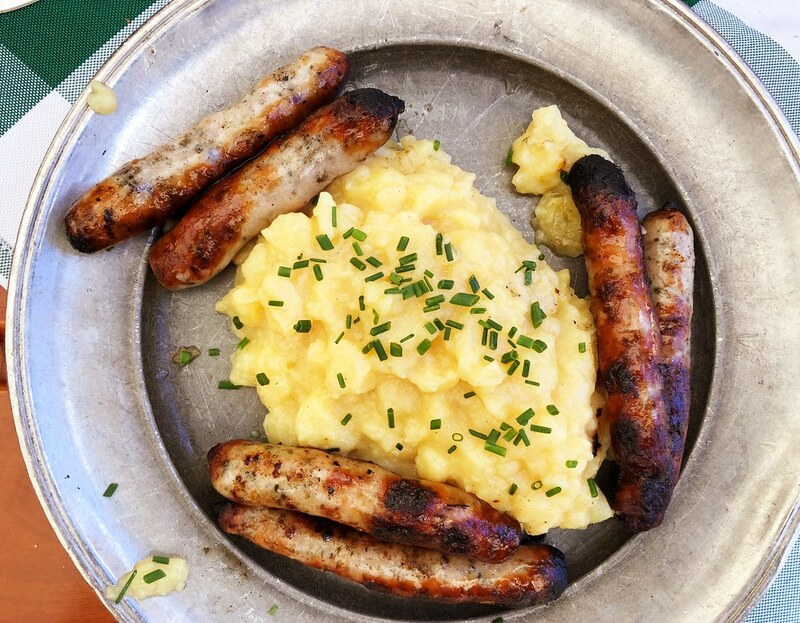 While it’s easy to enjoy those Bavarian classic we all know and love, namely sausages and pretzels, like many other cities Munich is enjoying a type of foodie Renaissance. A local food writer spent an evening with me, sharing some of his favorite up and coming spots around Munich, but the one that resonated most with me was an unlikely discovery in southern Germany, a traditional American BBQ joint. There are actually several of these popping up all around Munich; I guess the food from my childhood has made it across the Atlantic. It was a welcome find though and as soon as I stepped into the popular restaurant Meisterstück, I knew I was in for a great evening of delicious food. Low and slow is the name of the game here and the restaurant features a number of BBQ classics, served alongside their equally fabulous beer. It was a surprising discovery, but a welcome one. For something a little bit different, we ended our evening at the Asian-fusion bar and restaurant the Drunken Dragon Bar. Located in the heart of the city’s old LGBT district, the clientele is diverse but everyone is there for one reason – to enjoy a fun night out. The food is creative and delicious, offering twists on classic Asian flavors and textures. When coupled with one of the café’s signature cocktails, it’s a perfect night out. I expected to find the traditional in Munich, but not this creative side and it was a wonderful discovery that made me love the city even more. 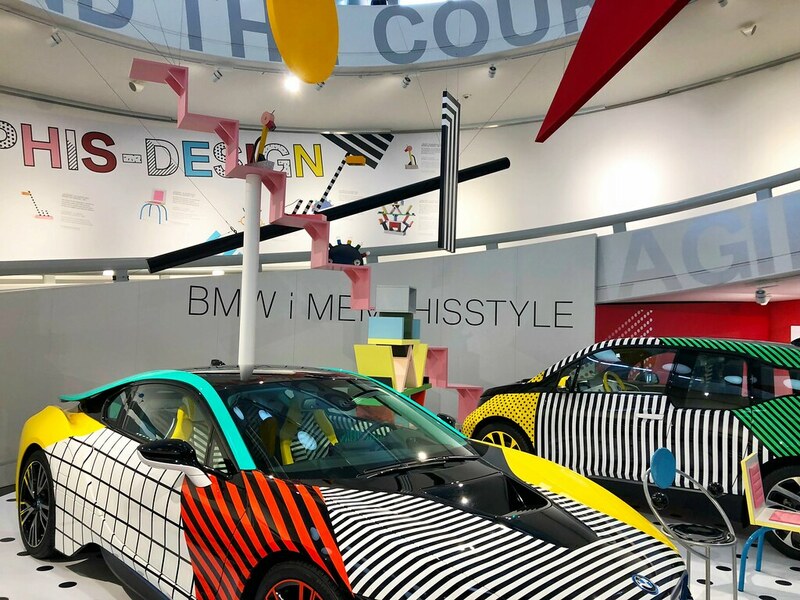 All of that being said, there’s no reason to ignore the traditional side of Munich – it’s what has made it so famous over the years – and for me that started by learning more about its impressive car history at the BMW World. This massive facility is home to both the BMW headquarters as well as the BMW Museum and is well worth spending a lot of time exploring. Whether you’re picking up your brand new car or just want to learn more about the company, this is one of the most impressive corporate facilities I’ve ever visited. The museum is what really captured my attention though, showing BMW’s technical development throughout the company’s history. While it’s all about BMW, it also mirrors the development of the car itself and how it has impacted all of our lives. Spending a half day here is fun and certainly worth the time. 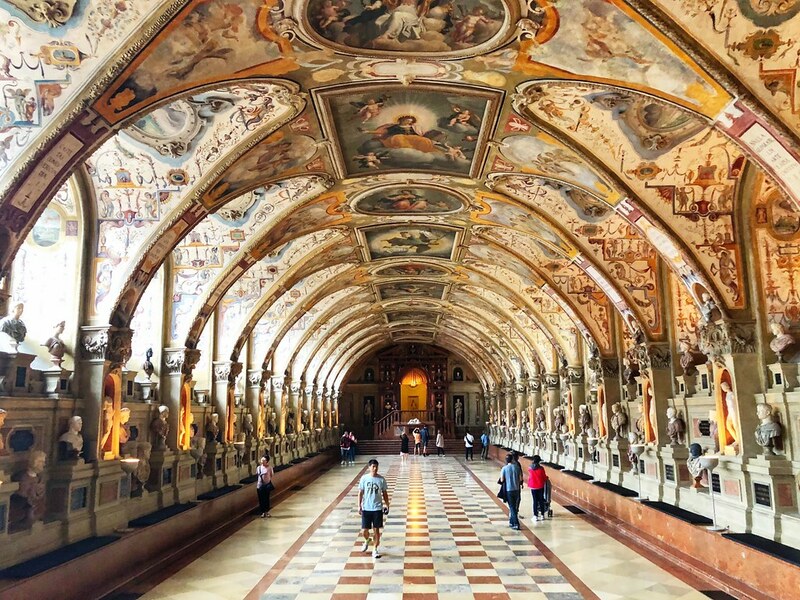 Munich isn’t only one of Germany’s best cities for tourists to visit, it’s one of Europe’s great destinations and deserves as much time as you can give it. Whether your interest is in food, culture or history, you’ll be well rewarded with your visit to the Bavarian capital, just don’t repeat my mistake and wait so long in between trips.